Colonia Oud combines the woody leather notes of Colonia Intensa with one of the world's most cherished ingredients, Oud, for an unforgettable fragrance that is both fresh and richly aromatic-now offered in a non-aerosol deodorant spray that provides immediate freshness and effectiveness that lasts. A delicate formula that is good for even sensitive skin. 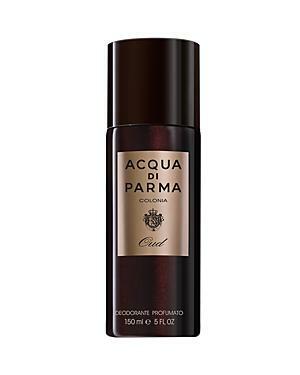 Acqua Di Parma Colonia Oud 3.4 Oz.